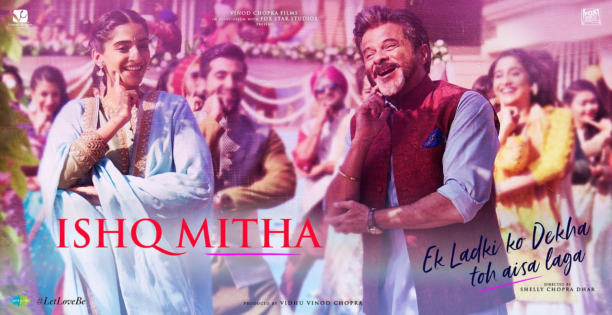 Sharing the screen space for the first time, the father-daughter duo of Anil Kapoor and Sonam Kapoor dance it off in the wedding song, Ishq Mitha, from their upcoming film Ek Ladki Ko Dekha Toh Aisa Laga. The song is the remake of the 1986 song, Gud Naal Ishq Mithaby British music producer Bally Sagoo and sung by Mallkit Singh. The reprised version of the song from the film set to make audiences dance to its tunes as well as find its place in any wedding playlist this year. Stepping out his best foot forward to dance his heart out, Anil Kapoor brings all his energy in the song, dancing with daughter, Sonam on-screen. Composed by Rochak Kohli, Ishq Mitha is sung by crooned by Navraj Hans and Harshdeep Kaur, with lyrics penned by Gurpreet Saini. Ek Ladki Ko Dekha Toh Aisa Laga is all set to hit the screens on February 1, 2019. Directed by Shelly Chopra Dhar, the film also stars Rajkummar Rao and Juhi Chawla in leading roles. Some love stories are not simple; Sweety’s is one such story. She has to contend with her over-enthusiastic family that wants to get her married, a young writer who is completely smitten by her, a secret that she harbours close to her heart and ultimately the truth that her true love might not find acceptance in her family and society. Resolving this issue proves hilarious, touching and life changing. 15 queries in 0.554 seconds.